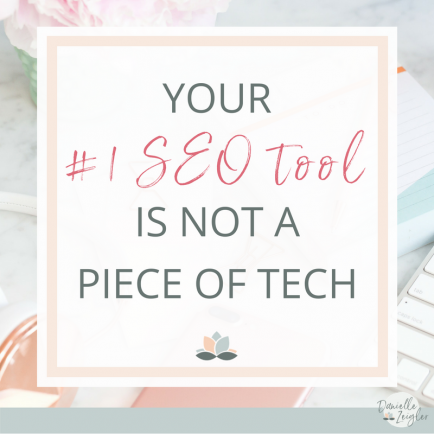 Lately, I’ve been noticing that many of my clients are not aware of whether their websites have a sitemap or not. This is a bit surprising to me, being that sitemaps play such an important role when it comes to your DMO (Digital Media Optimization™) and your overall digital blueprint. But before we can understand its importance for your DMO and small business SEO, we need to take a side step to learn what a sitemap actually is, along with what it does. To put it in layman’s terms, a sitemap is a specific type of file that you attach to the backend of your website that tells the search engines what pages, videos, images, and other files your website consists of. It gives you, the website author and owner, the ability to tell search engines what pages you would like them to pay attention to, as well as how you would like them to prioritize the site content. 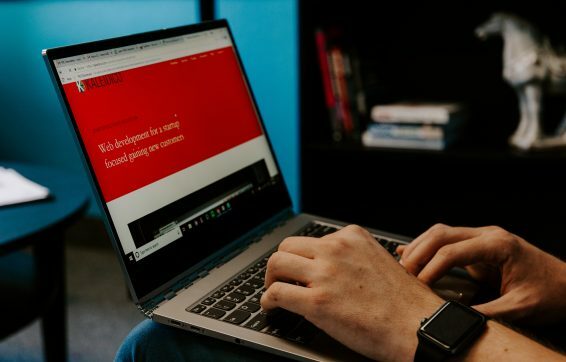 If you think of your website as a book, your home page acts as your book cover, which should tell a website visitor who you are, what this website is about (the title or URL domain), what you do, and where you do it (if you are a local business). Then, what do you normally see once you open the book and look inside? Aside from a foreword, introduction, or dedication, you will find the Table of Contents. This breaks down the chapters and sections of the book so you have a better indication of how the book is laid out and what type of content it will hold. This is exactly what a sitemap does for a search engine—it provides a roadmap of what your website content consists of, and helps with SEO for your small business. I often advise any graphic designer that we work with to become very intimate with the sitemaps for the website they will design. That’s because it will act as a roadmap and create a clear path not only for website visitors looking to find information, but also for search engines seeking to connect website visitors with the appropriate information they are looking for. Just as images have to be in a particular format on the web (.jpg, .png, or .gif), a sitemap has to be in a particular file format known as extensible markup language or XML. Back in the day, the best practice for search engines was to create an HTML sitemap and link it to the footer of all your pages. (HTML, aka Hyper Text Markup Language, is the language that structures your website and the scaffolding that holds your content.) Although there are still sites out there that still practice this format, technology has evolved to where you just need one sitemap for your whole website. Why are sitemaps so important for Small Business SEO? The major reason for including an XML sitemap file in your website is to make it easier for search engines to digest your content and interpret what your website is about. 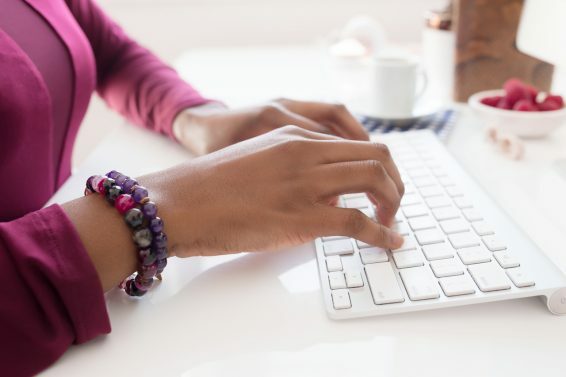 Without one, you are making it more challenging for the search engines to connect you with your prospective customers. A sitemap will improve the crawling of your site, and there is really no downside to having one. You have a ton of web pages and content. I have noticed a significant jump in ranking with our clients who have really large websites when we’ve added a sitemap. You post frequently on your blog or you have dynamic (new) content being published on your website on a regular basis. Your site uses other services to create sales landing pages or webpages that are not an actual page connected to your URL domain. We have a lot of clients who use services like Teachable, LeadPages, or other amazing tools to house their content. If those pages are not naturally referencing each other, listing them in a sitemap can ensure that Google does not overlook them. Not sure if you have an XML sitemap? So I know you might be thinking, “How can I tell if I have an XML sitemap for my website?” The good news is that if your website lives on platforms like Squarespace, Wix, Weebly, ShowIt, and Shopify, then you have a sitemap already built in. Sites that use the WordPress platform just need to make sure that they upload an SEO plugin like Yoast or Michael Tolbert’s All in one SEO Pack to have one automatically created. When it comes to website building, you want your site to touch all the bases. Making sure your website has an XML Sitemap is one of those elements that people might not see on the surface, but it works in the background to attract hits and draw in future clients. 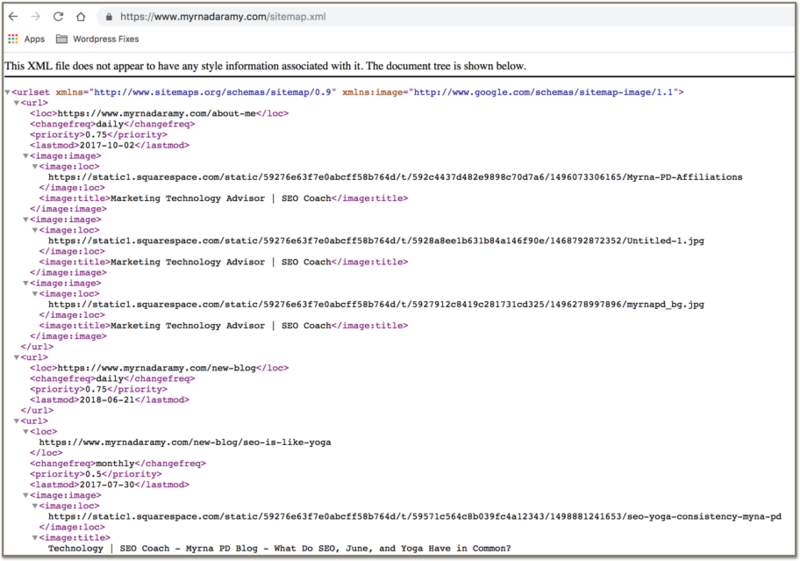 In a crowded industry, having an XML Sitemap is an intentional move you can make today to ensure you’re getting out there and showing up in people’s searches, and boosting SEO for your small business.